When I saw this weeks CASology cue card, I knew I had to make time to play along so I could use my favourite lion image. He is from the Party Animal set by The Alley Way Stamps. Isn't he just the cutest! too cute...love this little lion..he makes me smile..
Adorable ... love how the embossing hints at the jungle! hee!!! what a ca-ute little card!! thanks for playing along with CASology! 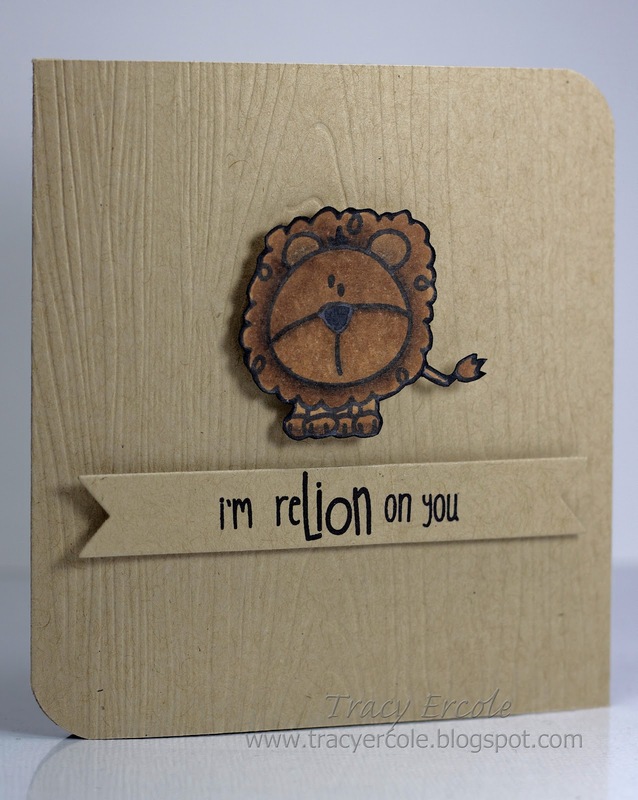 Love that cute little lion and I'm always a fan of a good punny sentiment! Thanks for playing along with CASology this week! Oh, my, he IS a cute little lion, isn't he? Great CAS card! Seriously, he is cute as a bug's ear! Love the woodgrain background!